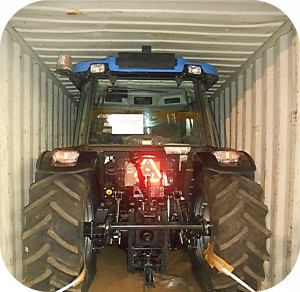 Packaging can be very crucial for heavy machinery supply chain as the right design can significantly increase the vehicle or container loadability, which reduces the overall logistics cost of transportation. Holisol designs packaging & supply chain solutions for domestic and international transportation. 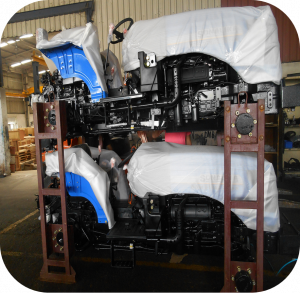 Our Semi knocked down solutions can increase the vehicle loadability by up to 30 % which translates to 30 % saving in logistics cost. Our team of experts designs the most efficient SKD solution for your product. Our completely knocked down solutions can increase the vehicle loadability by up to 50 % which translates to up to 50 % saving in logistics cost. CKD solutions are most preferred if companies have the assembling capacity at the destination. CBU solutions are mostly preferred in transportation over shorter distances where the cost of assembly and disassembly outweighs the savings in logistics cost. Our experts design packaging and supply chain solutions which are environment-friendly and cost-efficient. We design both returnable and one-way packaging solutions depending on customer’s requirement. Our solutions are backed by the experience of designing packaging solutions for leading OEMs. Our in-house IT solution Holisol Operations Management System HOMS enables our customers in end-to-end transportation management of heavy machinery efficiently.